We are very pleased to learn that the South Wales NUM (National Union of Mineworkers) has come out in support of Jeremy Corbyn in the current Labour leadership contest. The NUM has a long history of working class struggle, with the South Wales NUM an example of combativity before, during and after, the 1980s miners' strike. There was a large rally in St Helen's Square, York on Friday evening, 29th July. 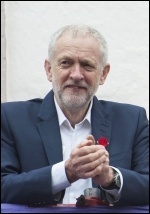 Jeremy Corbyn was greeted by the crowd of about 1,000 people with enthusiasm and spoke confidently and fluently for about 45 minutes. Liverpool: Corbyn slams "politics of the elite"
Up to 10,000 people flooded onto Liverpool's St George's Plateau and into the surrounding roads to greet Jeremy Corbyn on the Merseyside leg of his leadership tour. What a contrast with Owen Smith's event a few days earlier, where the 'crowd' was easily confused with the queue for a nearby ice-cream van! The Socialist Party and the National Shop Stewards Network (NSSN) salute the victory of members of the United Voices of the World union after 58 days of indefinite strike action at 100 Wood Street in the City of London. Attempting to defeat the movement behind Jeremy Corbyn are all the forces of the capitalist establishment. 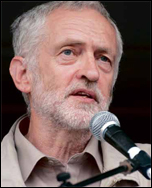 It would be wrong to be complacent about Labour's leadership election. Nonetheless, so far each attempt by the right at gerrymandering has been thwarted. Corbyn's tour of the UK continued in Bristol on 8 August. Around 2,000 supporters of the Labour leader packed out College Green in the centre of the city. Leila Ward, a young activist, spoke passionately about the struggles faced by young people. This included attempts to block under 18s from participating in the upcoming leadership election. 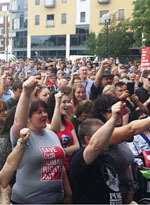 The largest political rally Hull has seen in the last 20 years was held on 30 July, with over 3,000 people attending to show their support for Jeremy Corbyn. Trade unions like the bakers' union (BFAWU) exist to defend and extend the rights of workers This is why Samworth Brothers, one of Leicestershire's biggest food manufacturing companies, is trying to bully their employees at Kettleby Foods into backing-down from their perfectly reasonable demands for collective bargaining rights. The housing crisis continues to deepen under this rotten Tory government. Many renters are now shelling out over half their net income to private landlords. But despite the acute shortage of affordable housing, Teresa May's ministers are pursuing a vicious campaign against social housing tenants. This is on top of the Tories' vindictive 'bedroom tax'. The banksters are at it again. 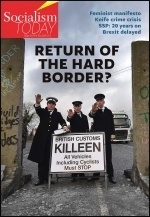 Despite huge public anger at their role in the financial crisis of 2007-8 it seems no lessons have been learned. A new report warns that "we're sailing blindly into a second global financial crisis." Theresa May has announced she wants to lift the ban on selective secondary schools, a measure she states will increase social mobility. This claim could not be further from the truth. Dozens of GP surgeries in England have had thousands of medical records appear late or not at all thanks to outsourcing giant Capita. Families on the small Butterfields estate in Walthamstow received notices to quit back in January. From the start they have fought tooth and nail to stay in their homes. Jeremy Corbyn picked up a hat-trick of nominations in Waltham Forest when Leyton and Wanstead voted to back him by 94 to 33. Hundreds of residents of the Washdyke estate were shocked at plans to demolish their homes. Video: part of a report on the origins of the Militant tendency. Beginning under the Margaret Thatcher governments of the 1980s, the NHS has been hit by decades of worsening privatisation and attacks. 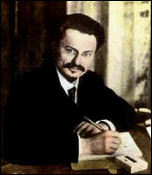 In July 2010, Socialist Party general secretary Peter Taaffe reviewed the book "Trotsky a Biography"
#KeepCorbyn: The establishment media, the fat-cat bosses, both wings of the Tories, and the Labour right have formed an axis. An axis against Corbyn's anti-austerity call. As waiting times for NHS treatment lengthen, more people can be tempted by private medical insurance. This is a dangerous trend - for the NHS and for all but the wealthiest few. There has been a lost decade for wage growth. Figures released by the Office for National Statistics show the income of working households is down £400 a year on pre-2008 levels. Whitehall spent more than half a billion pounds on redundancy payments in two years, according to its own major departments' figures. 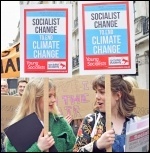 The renewed interest in socialist ideas has shaken cosy Westminster politicians, leading to fresh attacks on Militant, now the Socialist Party, and Trotskyism. 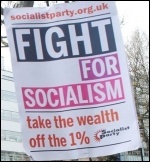 Members of the Socialist Party defend our achievements against the lies and distortions of the capitalist media. The US presidential election campaign is heading into its final phase now the Democratic and Republican conventions are over. The result was the anointing of the two most unpopular major party nominees in living memory, although Donald Trump is winning the unpopularity competition. Striking driver talks to the Socialist: The six-day strike by Deliveroo drivers in London, organised by the IWGB union, has forced the bosses to back down and won concessions. Most junior doctors have moved to new posts this month but their contract dispute continues. 58% voted to reject the latest Department of Health 'offer' In July. No talks or revised offer have been forthcoming since. I was recently part of the audience on the BBC programme 'Can Britain have a pay rise'. There were 100 of us seated in ascending order of pay. Earnings ranged from jobseeker's allowance to the £1 million salary of Pimlico Plumbers boss Charlie Mullins writes Steve North. "The Govia Thameslink franchise is in meltdown and not fit for purpose. Not content with axing catering services, closing ticket offices and attacking the role of their guards, they now want to threaten 130 station jobs and compromise the safety of both their passengers and staff alike," said RMT general secretary Mick Cash in announcing the latest RMT strike on the Govia Thameslink franchise. I'm just going to say it... it is hard being a school student, especially under the Tories. There is a lot of pressure on you to be perfect, to have everything figured out. Over 200 people attended a protest on 14 August, organised by campaigners against the night-time closure of Grantham Accident and Emergency Department. 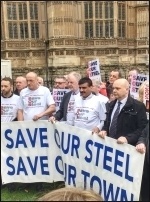 The protest was organised, with just a few days' notice, by a local group including Labour councillor Charmaine Morgan. 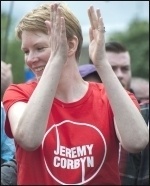 Trade unionists took the ideas of socialism onto the streets of Cardiff on 26 August, gathering at the foot of Aneurin Bevan's statue on Queen Street to rally in solidarity with the movement building around Jeremy Corbyn. The Spirit of '45, a film by renowned filmmaker Ken Loach was shown recently at a small local theatre in North Newcastle-upon-tyne. Offshore investment firms part-own 277 Scottish state schools. London bus workers Tower Transit took 24-hour strike action on 26 August, over the imposition of roster changes, pay and the anti-union approach of the company. As the new academic term begins, students at schools, college and universities around the country face a year of important struggles. 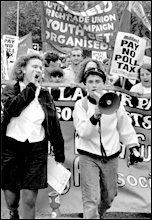 Here two young people comment on some of the difficulties facing working class students. Britain's second-place finish in the Olympic table has been used widely by the establishment as a show of the greatness of British sport and successful investment strategies. But the reality is far from this image.